OPPO A3s now in the Philippines at a value for money price of Php 6,990. 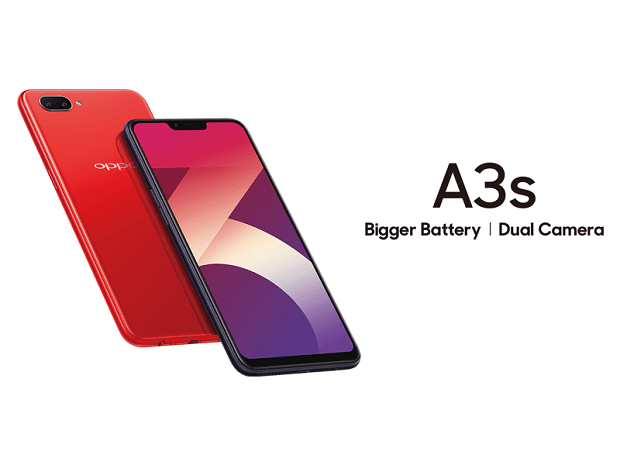 OPPO A3s is now official in the Philippines coming in at the entry-level segment of the company's portfolio. The handset features a dual-rear camera and a bigger 6.2-inch display. On top of that, the handset has a face recognition feature which will make unlocking the phone easier. You'll also get a bigger battery and an 8MP selfie camera. The OPPO A3s is only priced at Php 6,990 and it shapes up to be a good value looking at its specs sheet. The OPPO A3s comes with Snapdragon 425 and Android 8.1 Oreo underneath OPPO's Color OS UI. The only downside is the 16GB storage but you can always top that up using the micro SD slot.